Dream team defeated Magic team 129-103 in 2019 All Star Game. They grabbed a 34-26 lead early in the game and never looked behind. Moreover, Dream team added a massive 38-24 surge to take a 72-50 halftime advantage. 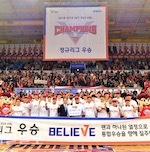 Dream team scored another 32-28 run in the third quarter, while both teams notched 25 points each in the last stanza. Ricardo Ratliffe (203-F-89, college: Missouri) stepped up with 20 points, 17 rebounds and 8 assists. 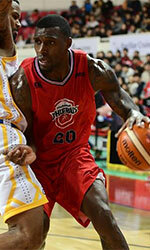 Jong-Kyu Kim (207-C-91) followed him with 12 and Carl Landry (206-F-83, college: Purdue) added 10. Marcus Foster (190-G-95, college: Creighton, agency: Pensack Sports) replied with 20 points in a loss and Eugene Phelps (198-F-90, college: Long Beach St.) collected 14 points and 14 rebounds.